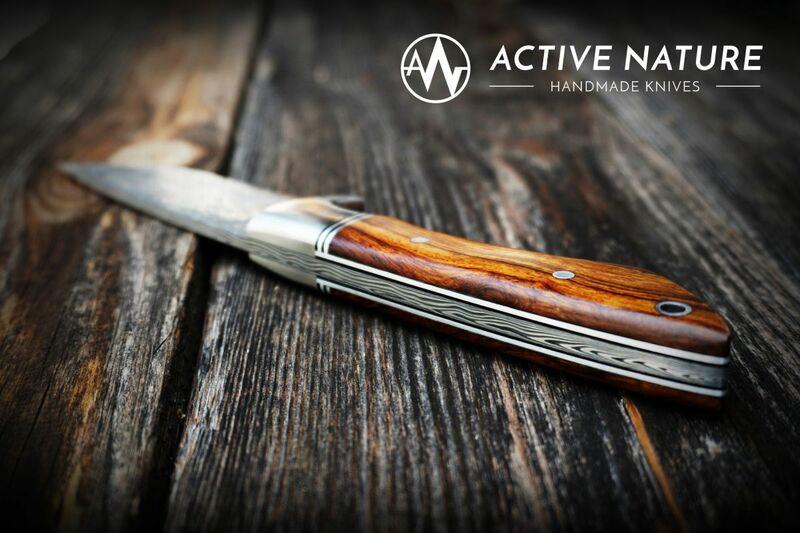 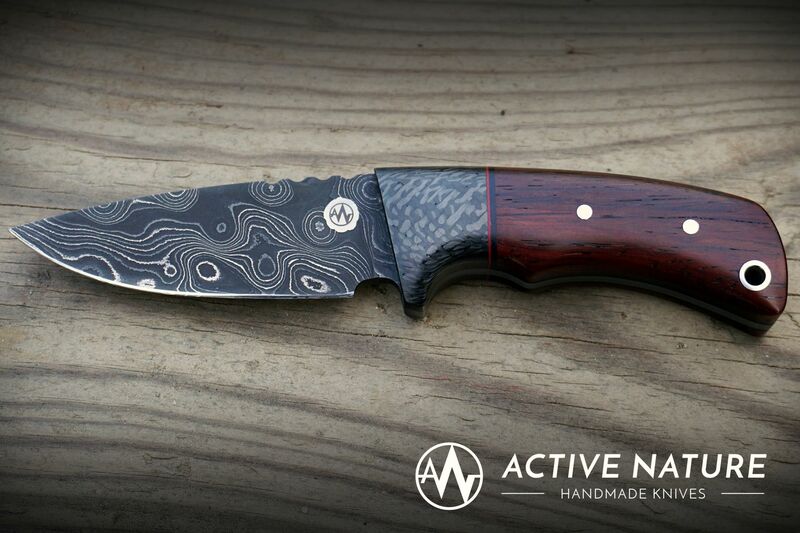 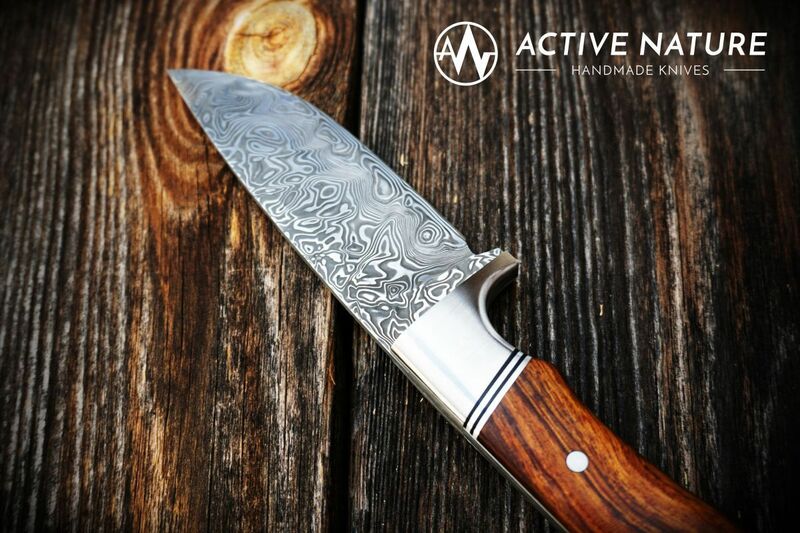 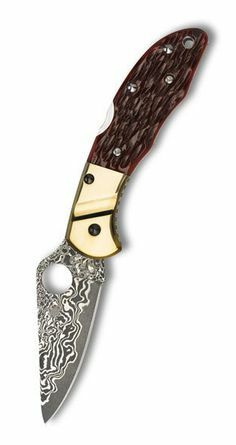 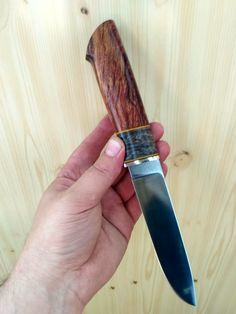 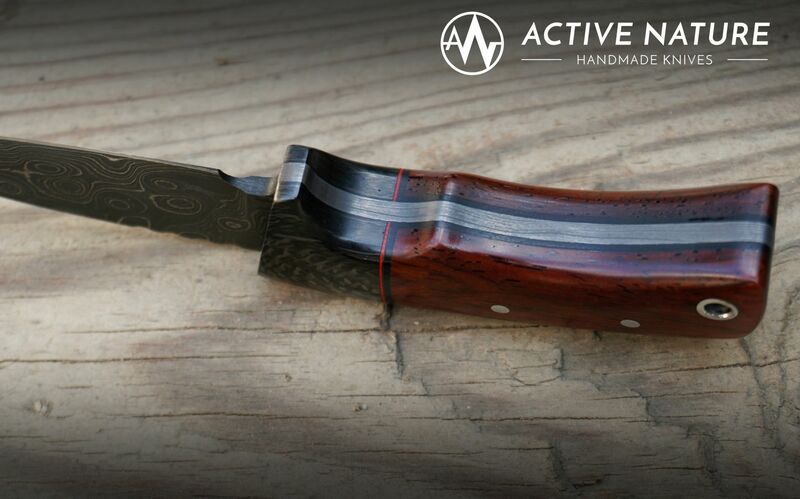 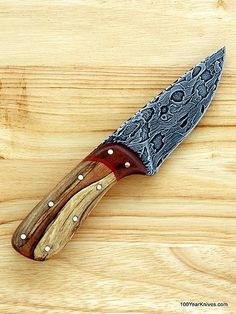 Active Nature - Handmade Knives Damascus Knife with carbon fiber and Cocobolo handles. Damascus blade and mosaic damascus bolster with mother of pearl and copper wire carbon fiber handle. 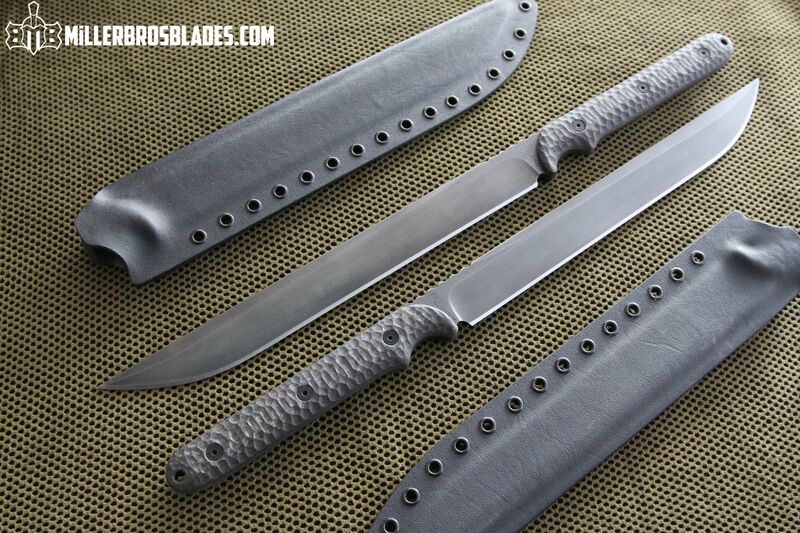 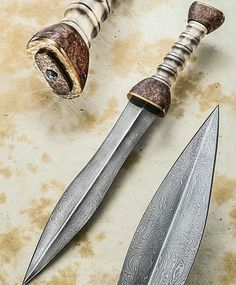 Blades Custom Short swords with Carbon Fiber handles. 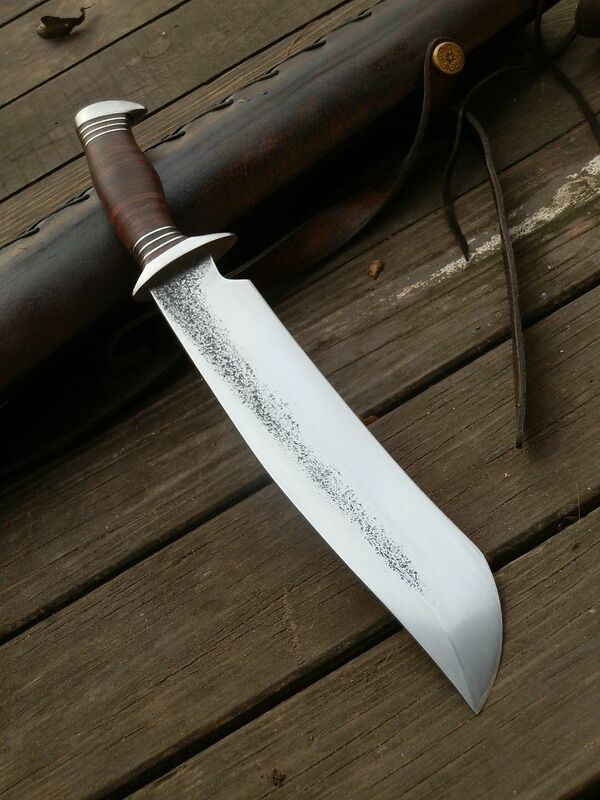 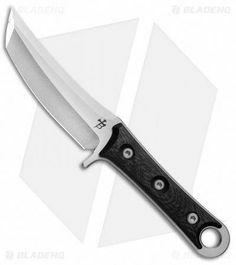 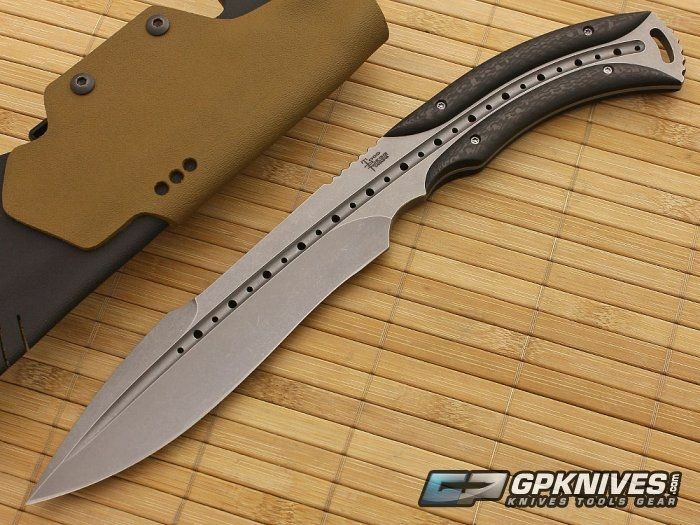 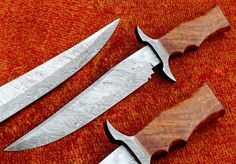 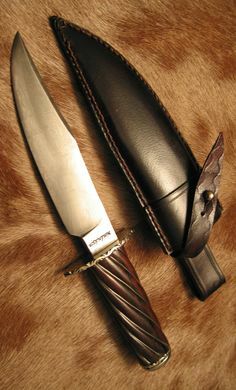 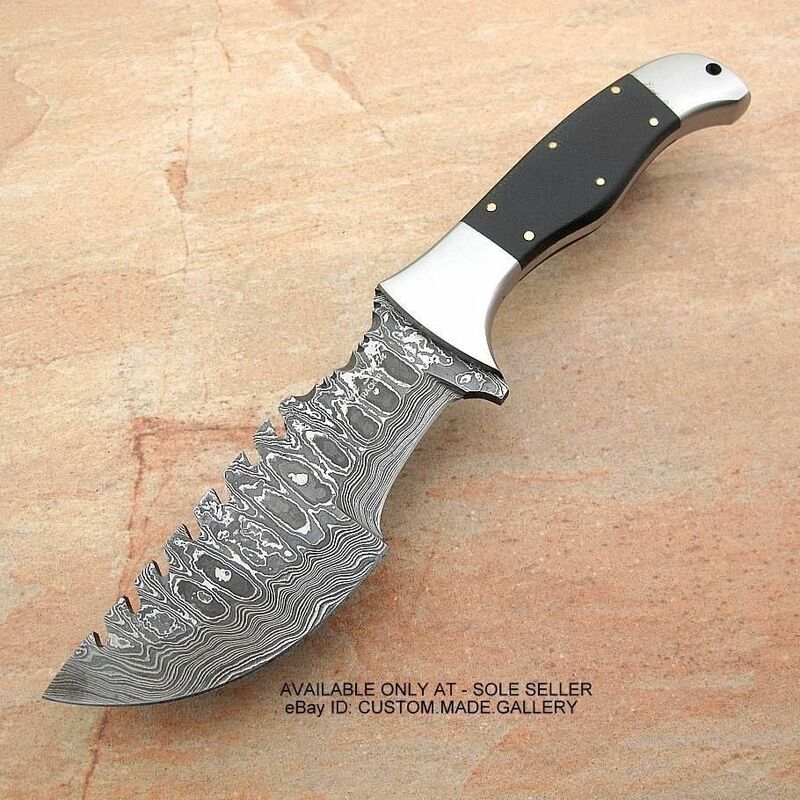 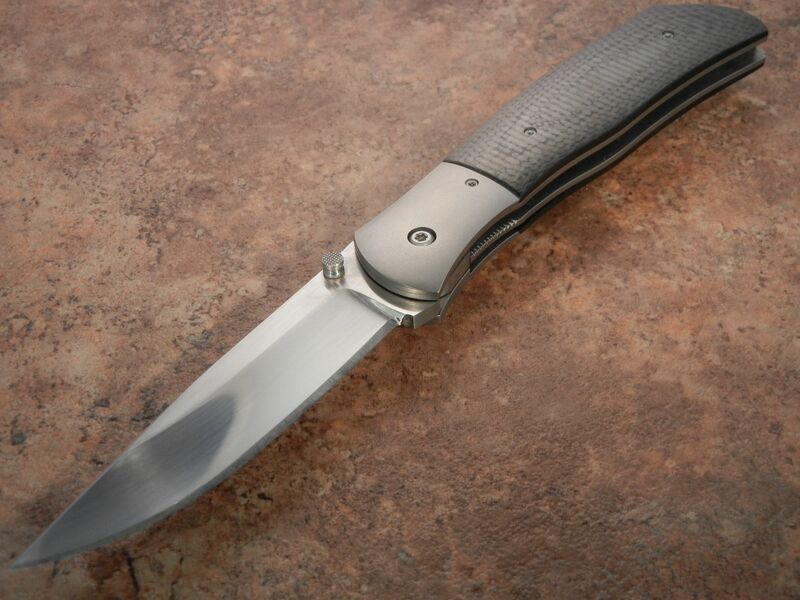 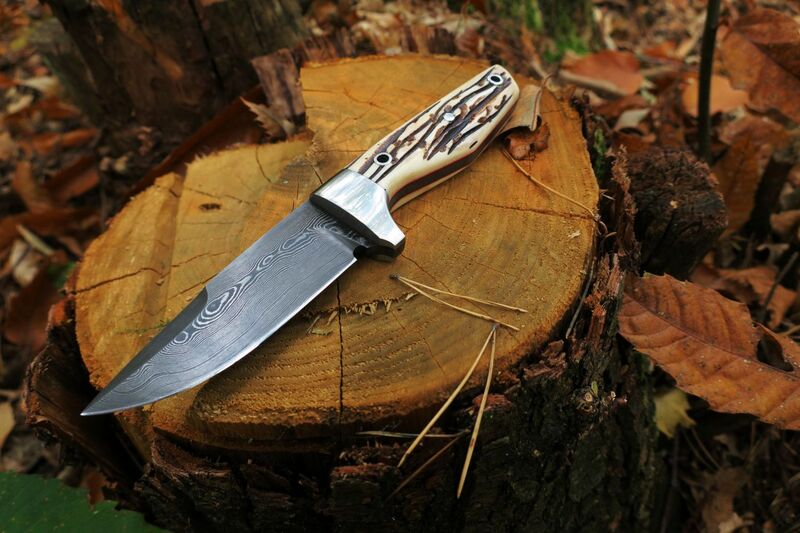 This model is available in Z-Wear PM, CPM 3V and 5160 steels Miller Bros.
Ben Seward custom Bowie Knife. 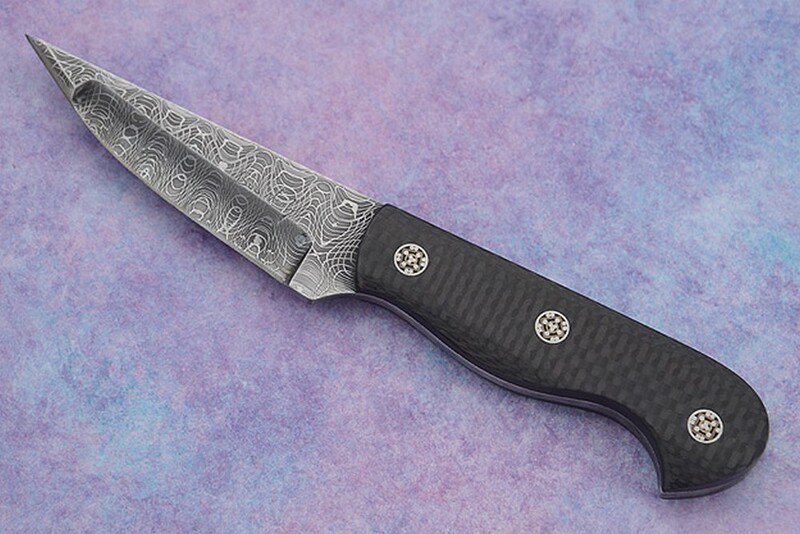 1075 steel, Carbon Fiber handle, damascus guard. 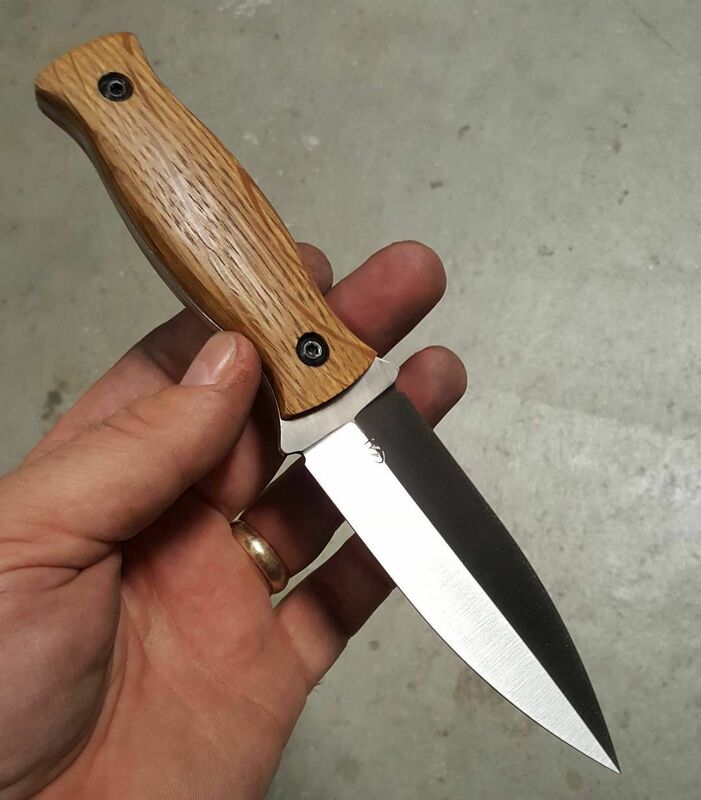 Custom Knife Factory Gratch, liner-lock flipper. 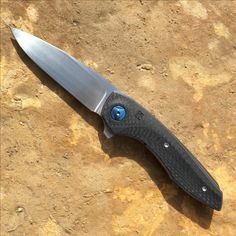 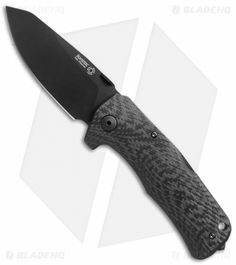 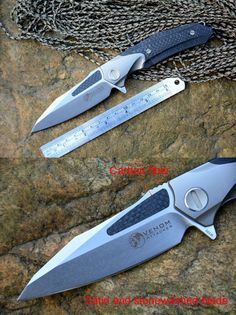 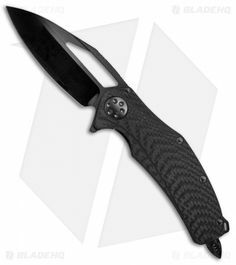 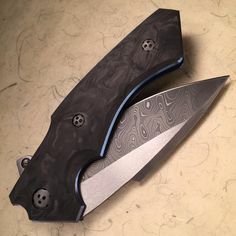 M390 blade steel, titanium liners and hardware, carbon fiber scales. 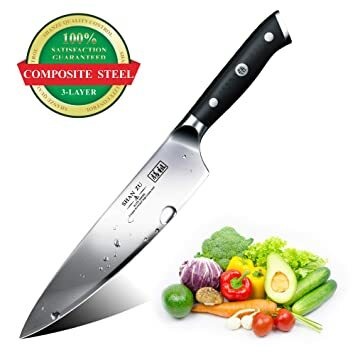 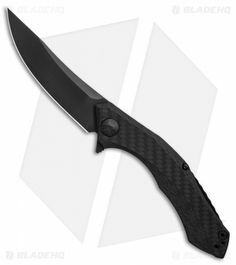 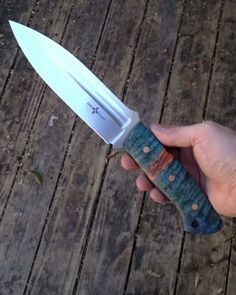 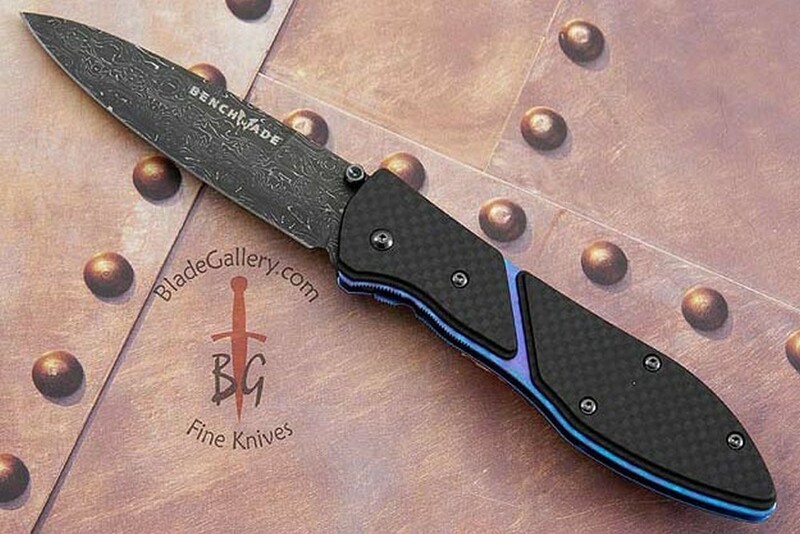 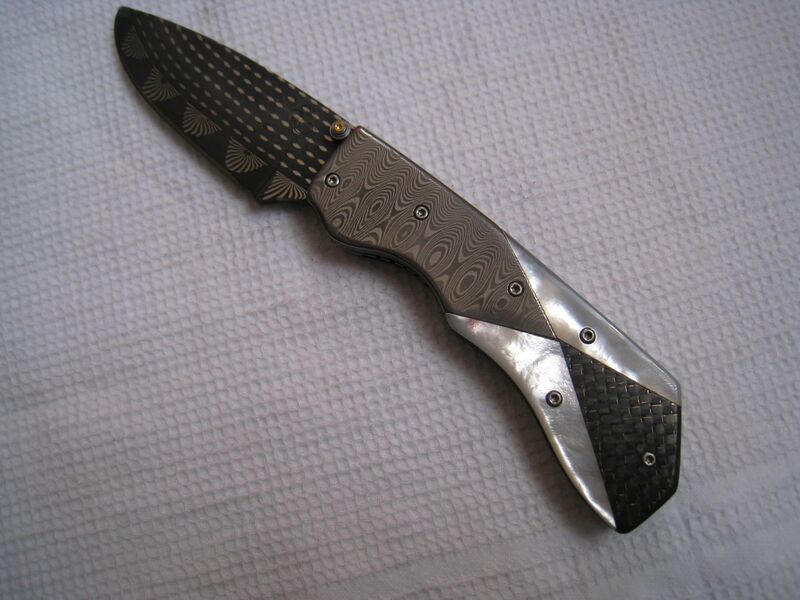 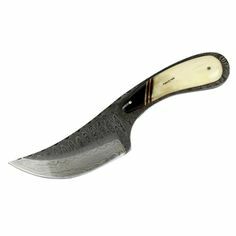 3.75" blade, 5" handle, 8.75" overall. 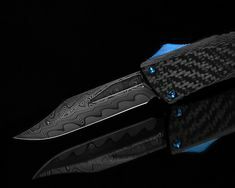 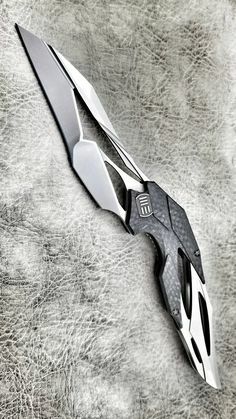 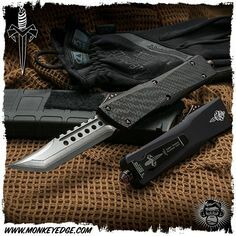 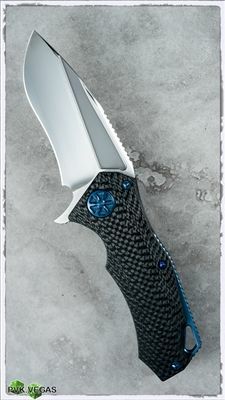 Custom Microtech Matrix designed by Tony Marfione. 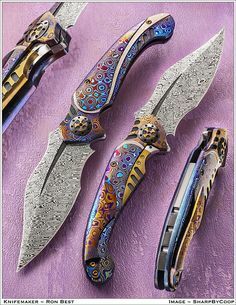 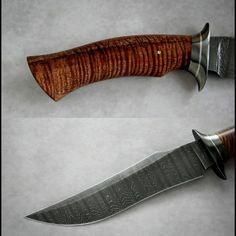 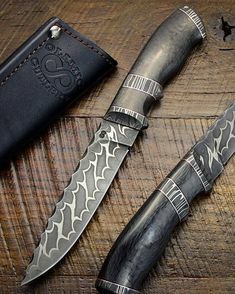 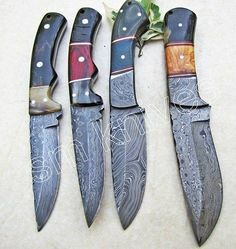 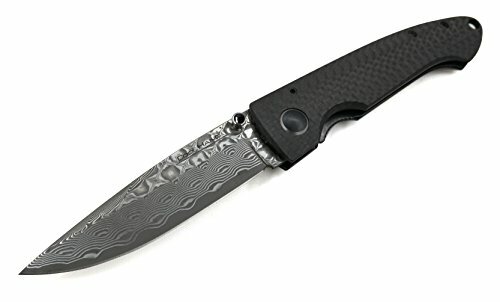 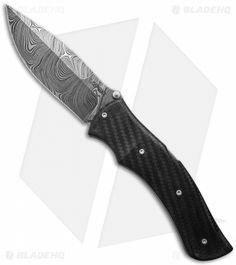 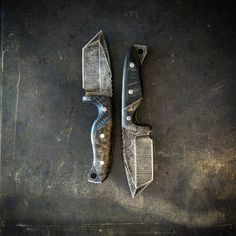 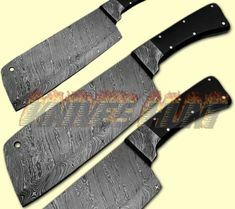 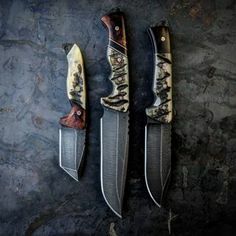 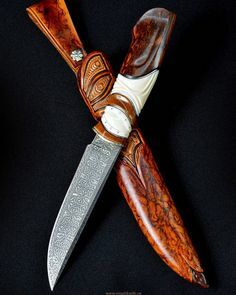 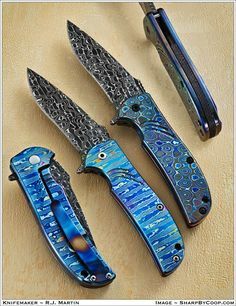 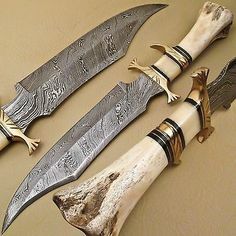 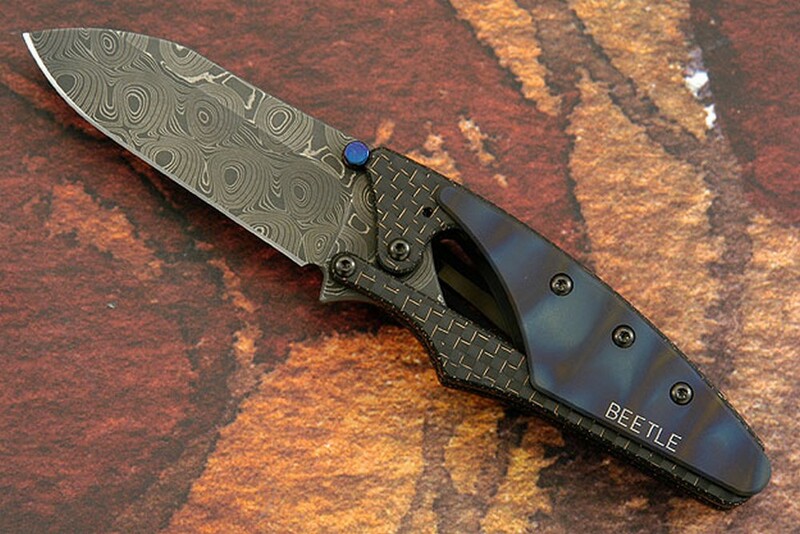 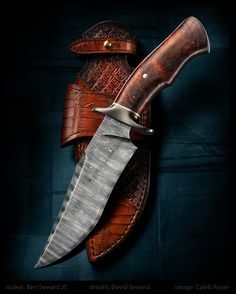 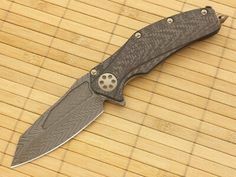 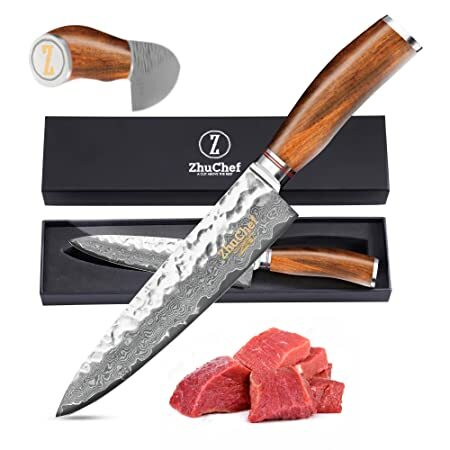 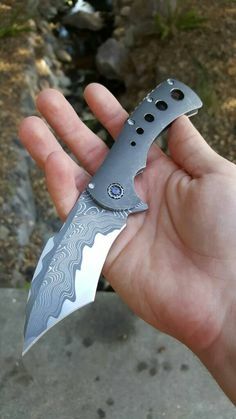 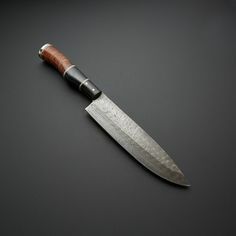 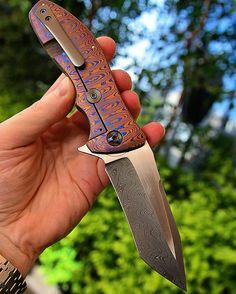 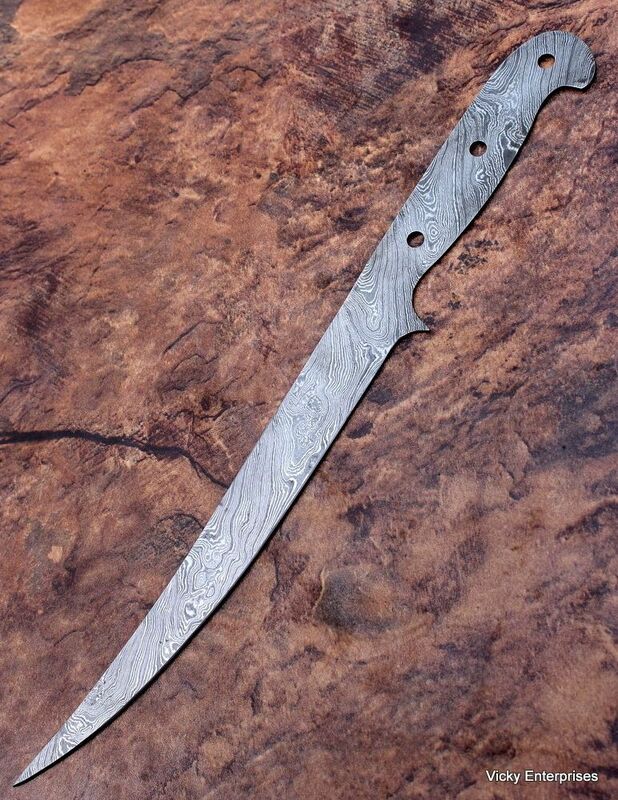 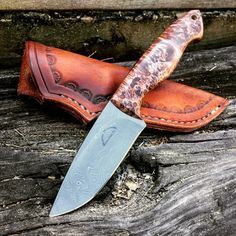 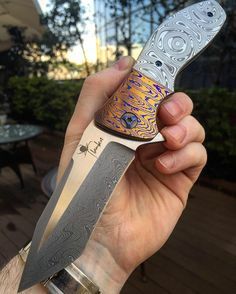 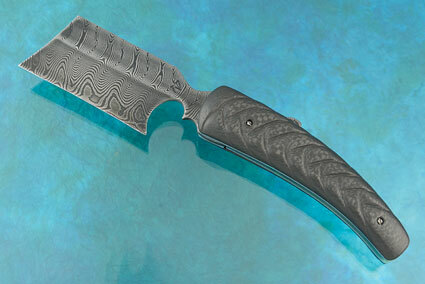 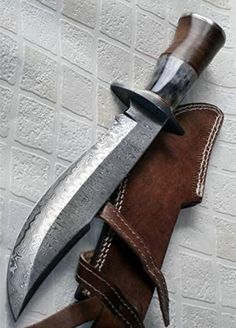 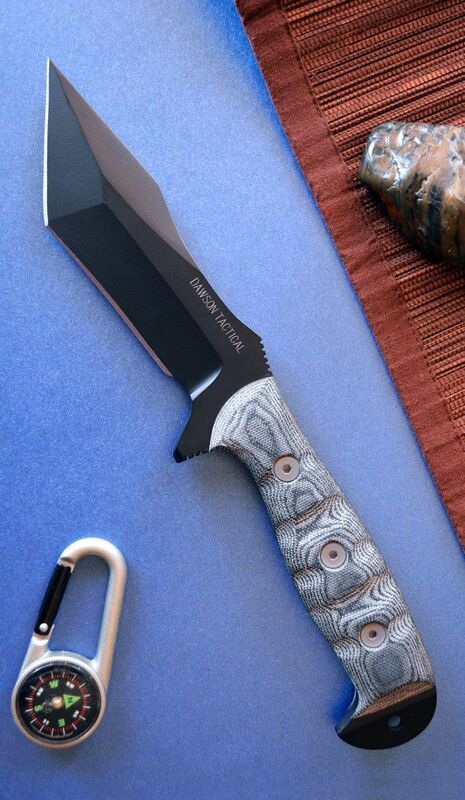 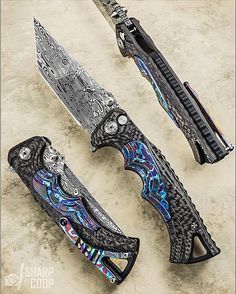 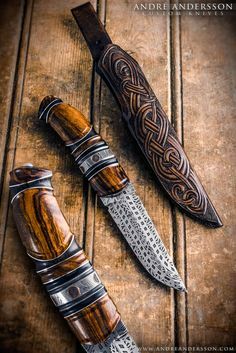 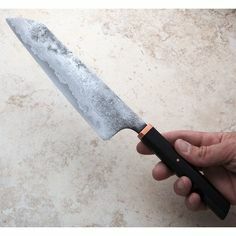 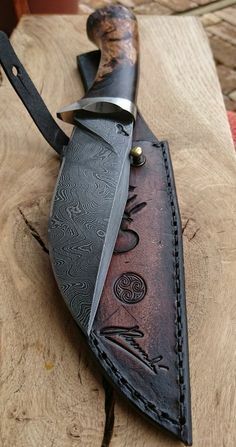 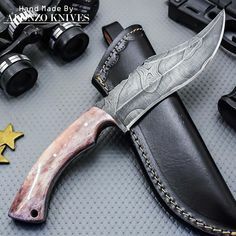 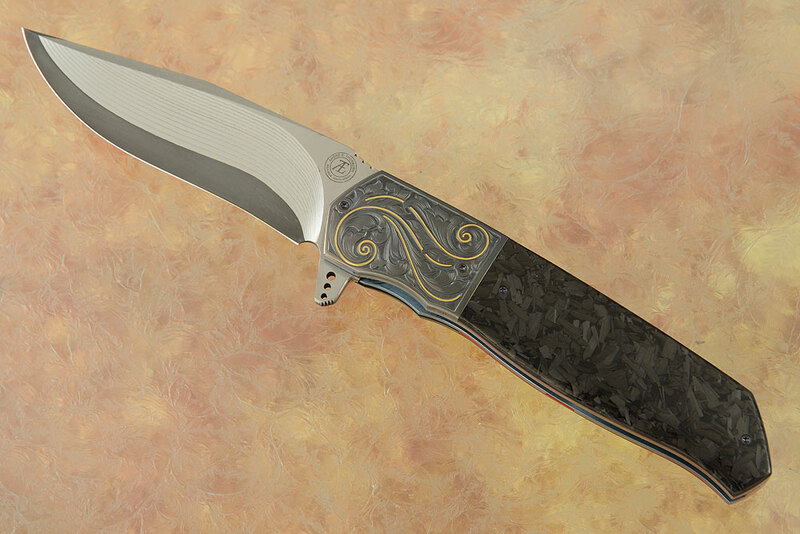 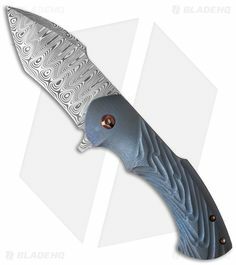 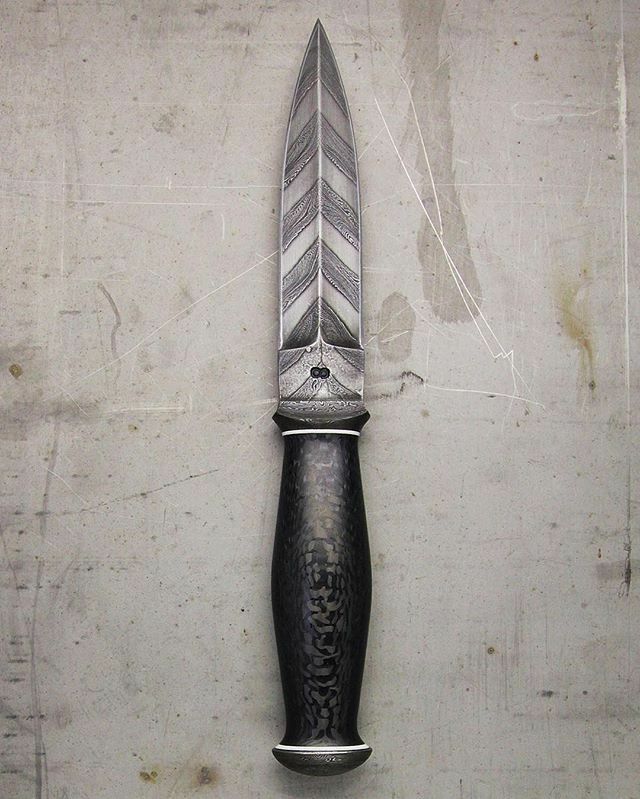 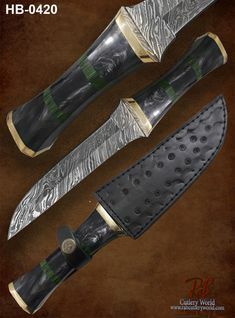 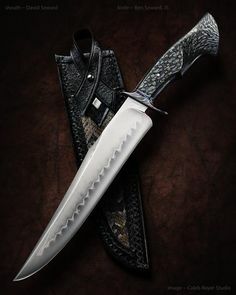 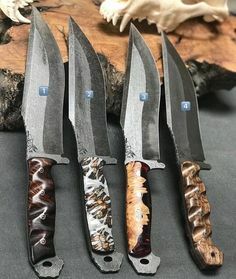 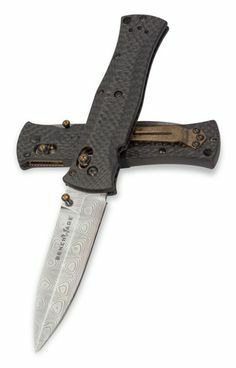 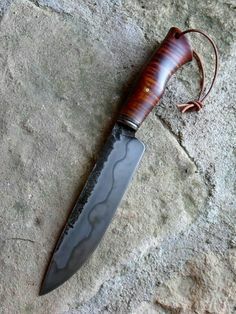 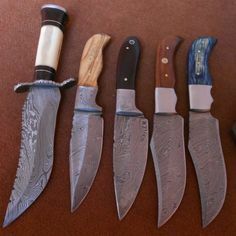 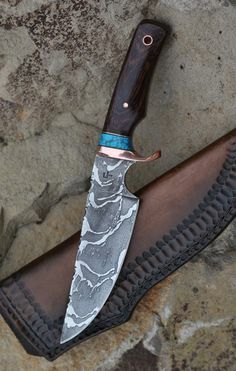 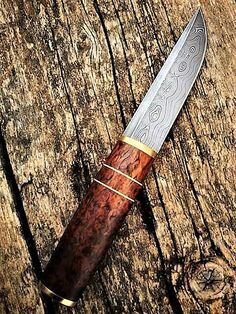 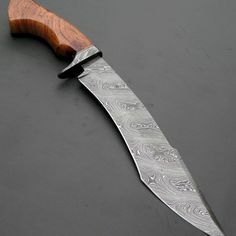 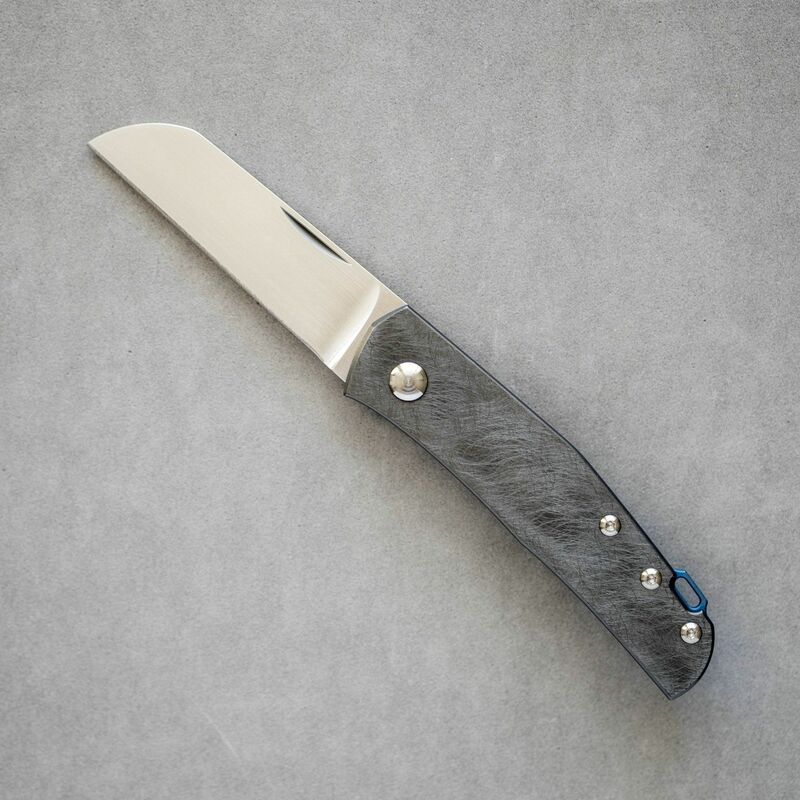 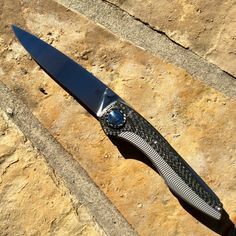 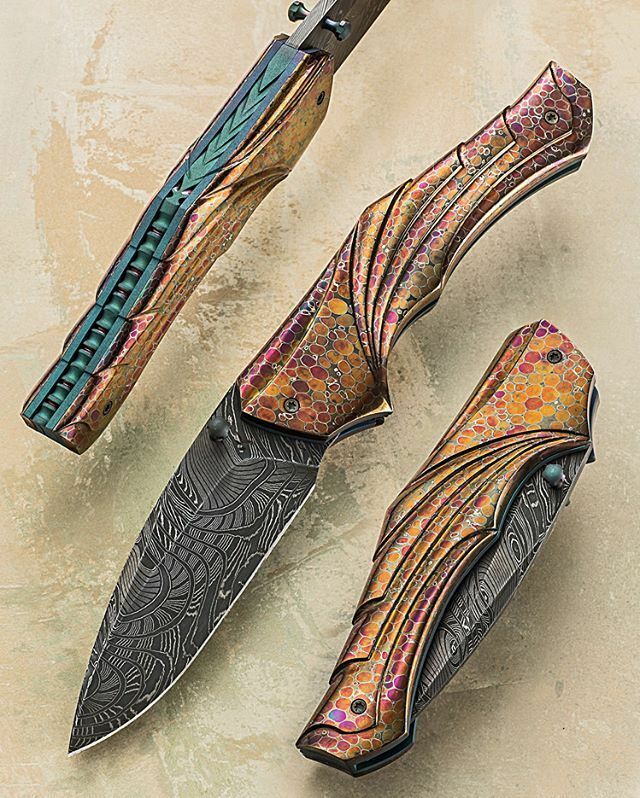 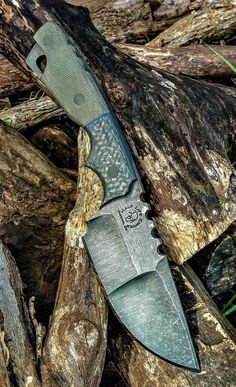 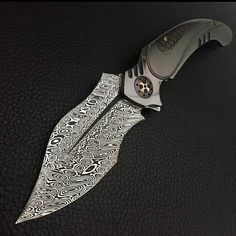 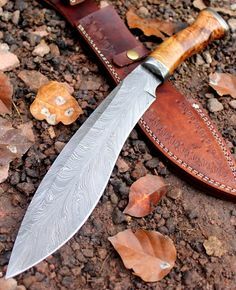 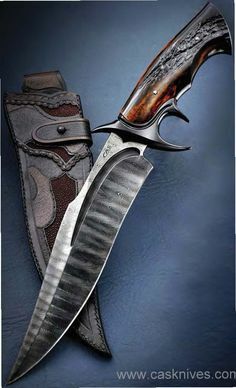 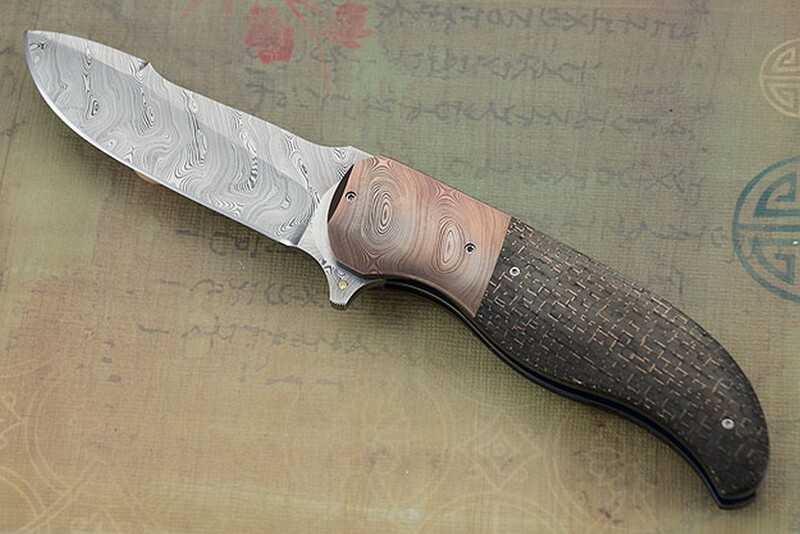 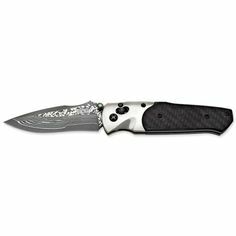 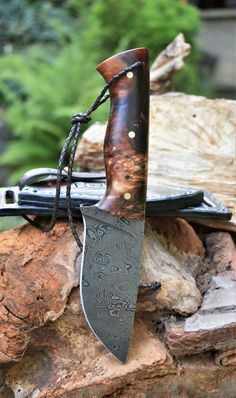 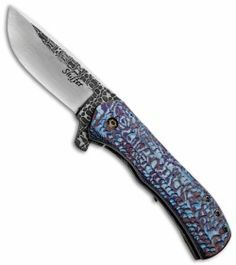 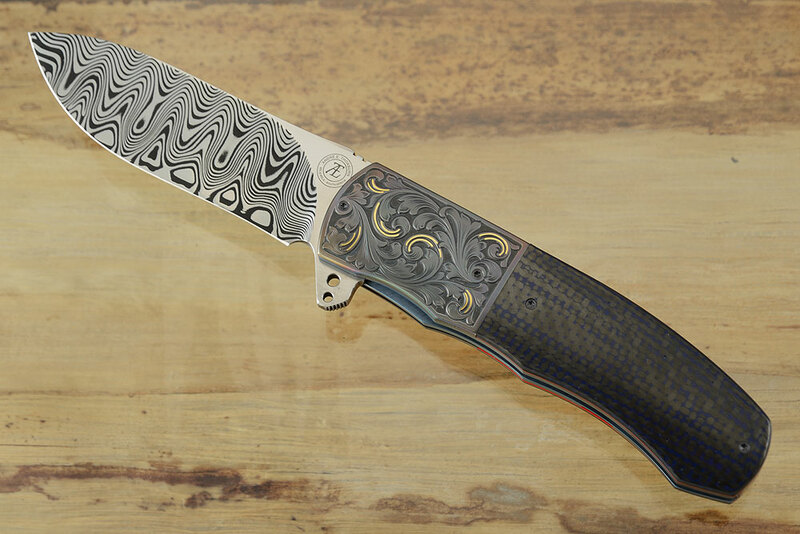 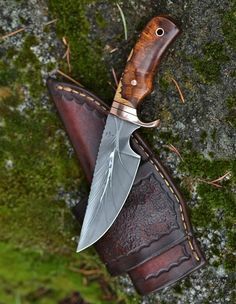 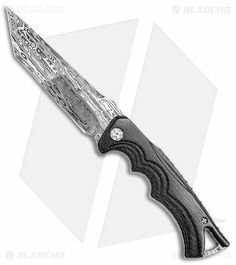 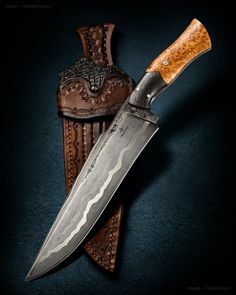 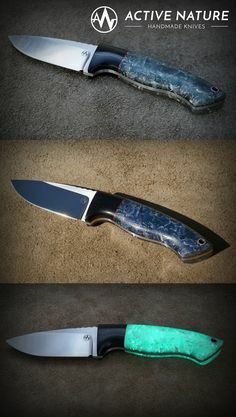 Beautiful design with San Mai Damascus blade and carbon fiber handle.